Mike is doing really well in a close race, and is the leading progressive candidate in Guelph. Winning in Guelph will come down to canvassing, and Mike & the team need help. 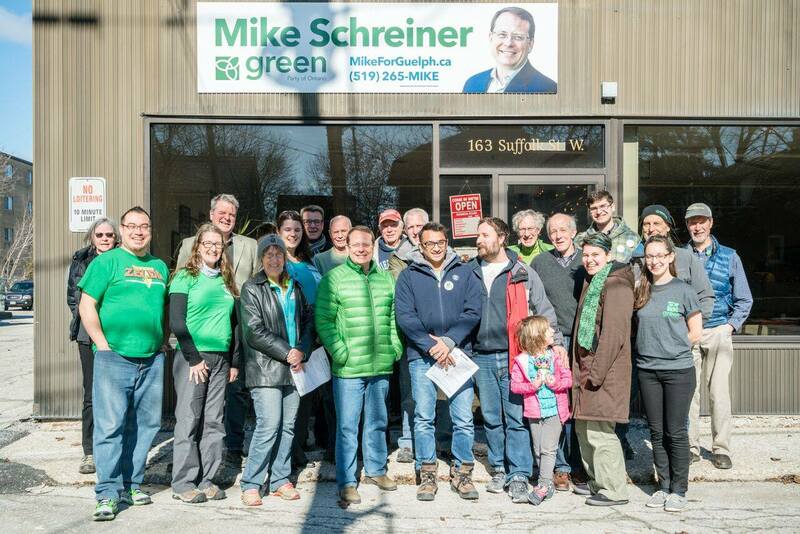 Please Join us on Saturday to canvass with Elizabeth May And Mike Schreiner! If you can make it out, please let us know! Canvassing is happening on Saturday between 9am-6pm! RSVP to choose your time to canvass with Elizabeth and Mike.